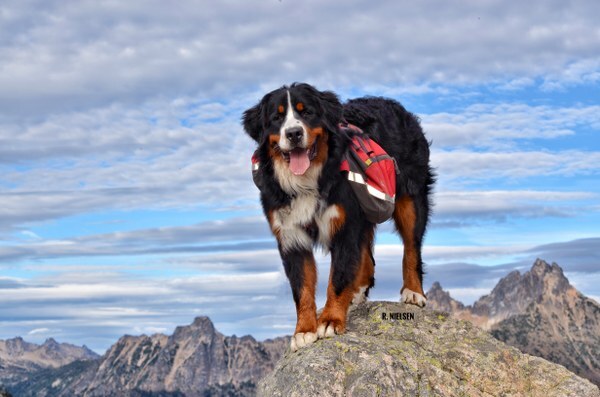 In this piece from Mountaineer Magazine, Attorney Ruth Nielsen discusses risk, liability, and her love of the outdoors. Ruth Nielsen has practiced law in Washington for 30 years, specializing primarily in sports-related personal injury defense and outdoor product liability defense. She has successfully defended claims involving many of the activities that we lead at The Mountaineers - including skiing, rock climbing, mountaineering, and backpacking - and she is a frequent presenter at The Mountaineers annual Leadership Conference. Ruth’s legal expertise makes her an invaluable asset to our organization, and her enthusiasm for the outdoors is infectious. I talked with Ruth to better understand the legal liabilities associated with volunteering at The Mountaineers, and to learn more about what drew her into this unique industry. What sparked your initial interest in law? Did you always know that you wanted to be a lawyer? My interest in law came from my father, who was an attorney. Although I had planned to be an artist when I grew up, reality set in when I was in college and I realized I’d be more successful in law than in art. I had learned to argue from the best, having spent my teenage years arguing with my dad. Being in the courtroom seemed like a natural place for me. Given your professional focus on the outdoor industry, I’m guessing that you grew up in an outdoorsy family? My family wasn’t really outdoorsy, but I did grow up surrounded by the beautiful Wasatch Mountains in Utah. Growing up, the highlight of my summers was horseback riding in the Uinta Mountains. I knew wherever I lived there would have to be mountains. A visit to Seattle when I was in high school convinced me that this was the place where I wanted to live - the mountains were stunning and the landscape was so much greener than what I grew up with. I applied for jobs in Seattle after law school, and landed a job that allowed me to follow my dream to Seattle. My first boyfriend in Seattle was passionate about the outdoors, and our first date was a backpacking trip - which was also my first overnight trip in the mountains. I was quickly hooked on both exploring the outdoors and the boyfriend. Together we took up backcountry skiing, mountaineering, backpacking, winter camping, rock climbing, and just about any other opportunity to explore the mountains. When we got married our honeymoon was a weeklong backpacking trip, of course! It seems like you’ve found a great way to combine your passion for both law and the outdoor industry. How were you able to blend those two interests? I was uniquely fortunate that I ended up working for a law firm in Seattle that represented some of the Washington ski areas. Since I had become an avid (although not particularly skilled) skier, I used that opportunity to start doing legal work for these local ski areas, and my passion for the outdoors helped me expand that expertise into other areas of outdoor recreation. I ultimately started my own law firm so I could focus solely on clients in the outdoor recreation industry, combining my legal skills with my personal love for the outdoors. I believe the legal work I do helps keep outdoor recreational opportunities available, as I’m actively defending our opportunities to enjoy outdoor sports. I’ve now joined a firm again, and many of the other lawyers are avid skiers and climbers. My law partner Richard Jolley is not only an excellent attorney, he’s a better climber and skier than I am and is equally invested in defending the outdoor industry. It’s great to have that support and teamwork! Your presentation at the 2017 Leadership Conference was titled “Liability Traps in the Volunteer-Based Recreation Arena.” What is the difference - as far as legal liability - between a volunteer leader and a paid guide? Can you give me an example of one liability trap that should be on everyone’s radar? A volunteer leader and a paid guide both owe their clients a duty of “reasonable care.” A guide that is being paid doesn’t have to be “more careful” than a volunteer, and by the same token, a volunteer doesn’t get to be “less careful” just because there is no paycheck. Volunteer leaders who think they don’t have to follow the same procedures as a paid guide are falling into a potential “liability trap.” If someone is taking students/clients on a climb, the procedures for the leader or guide should be determined by what is reasonable for that particular climb, and not whether the leader/guide is being paid. I imagine that it can be difficult to be surrounded by so many stories of bad accidents in the outdoors. How do you keep perspective, and how does your work influence the way you choose to explore the outdoors? I do know about many different ways to get hurt in the outdoors because of my work! There are some activities I avoid because the risk isn’t worth the reward for me. For example, I’m not interested in thrill-seeking activities where I have no control - like bungee jumping or zip lining - because I know all too well that equipment failure (which is not in my control) can be catastrophic. I’m also more cautious at ski areas than I might otherwise be because I am hyper-aware of the many ways people get hurt at ski areas. But activities like backcountry skiing, climbing, and mountaineering - while risky - provide such a personal reward that I’m willing to take the risks and hopefully manage them successfully. I’ve lost close friends to climbing and skiing accidents, and I think that’s true for many of us. My passion for the outdoors is what ultimately keeps me going back. Alright, last question. What is one thing that our volunteers would be surprised or interested to know about you? My biggest brag-worthy outdoor achievement was climbing Denali with a group of women friends – four of us summited and I considered that a major accomplishment. I’m also a dog nut, and my husband and I have two Bernese Mountain Dogs and a Newfoundland. In addition to spending time in the outdoors with my dogs, I’m a dog show competitor and judge. I’m an avid photographer, and my dog photos have won numerous photo competitions and have been published in various national dog publications. 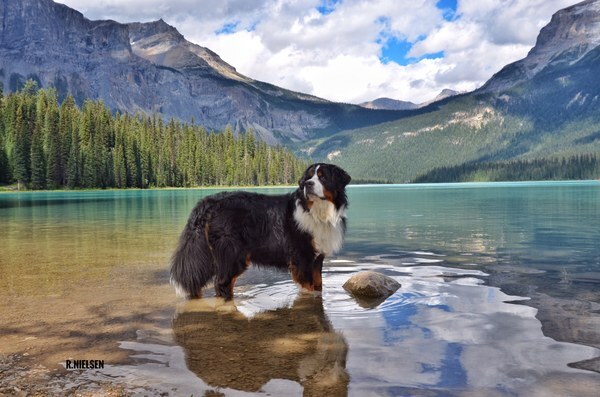 My dogs are popular on Instagram at @mazamadog – they are great at posing in gorgeous mountain settings! My photography is a way for me to combine my love of the outdoors with my artistic self. Interested in pursuing leadership development? Each year, The Mountaineers designates funds to support the professional growth of our leaders. These funds are made available to individual leaders – as well as small groups of leaders – to support their attendance at conferences, workshops, courses, and other programs that are relevant to their volunteer leadership. Learn more and apply today!